Tom is a senior partner of Dickes & Wood Consulting, LLC. He is a highly results oriented professional with more than 30 years experience in the petroleum service industry. Tom has served in numerous leadership positions in operations and safety management with more than eighteen years experience in safety and compliance for radioactive and explosives materials. Tom has unique experiences in emergency response and event investigation. 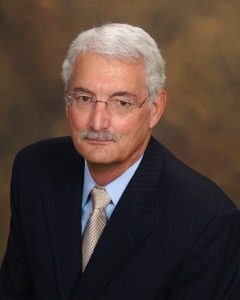 Prior to the formation of Dickes & Wood Consulting, LLC, Tom served as the Deputy Radiation and Explosives Safety Officer for Schlumberger, the world’s leading oilfield service provider. In addition to managing all aspects of Schlumberger’s radiation and explosive compliance programs, in this position Tom worked closely with the Nuclear Regulatory Commission (NRC), Agreement State agencies, the Bureau of Alcohol, Tobacco, Firearms and Explosives. Tom managed more than four dozen radioactive material and explosive licenses covering export, import, engineering, manufacturing and use for both radioactive materials and explosives. Tom was also responsible for managing the domestic and international shipments of radioactive and explosive materials and insuring compliance with the United States Department of Transportation regulations (49 CFR), International Air Transport Association (IATA) rules and International Maritime Dangerous Goods (IMDG) regulations. Tom is also a frequent participant and presenter for the NRC’s “Safety Aspects of Well Logging” training course.